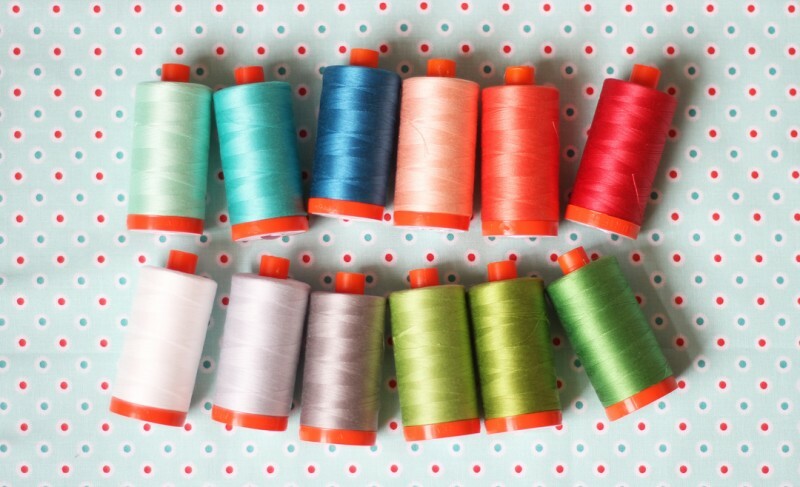 I am way behind posting about this lovely thread collection I put together with Aurifil. 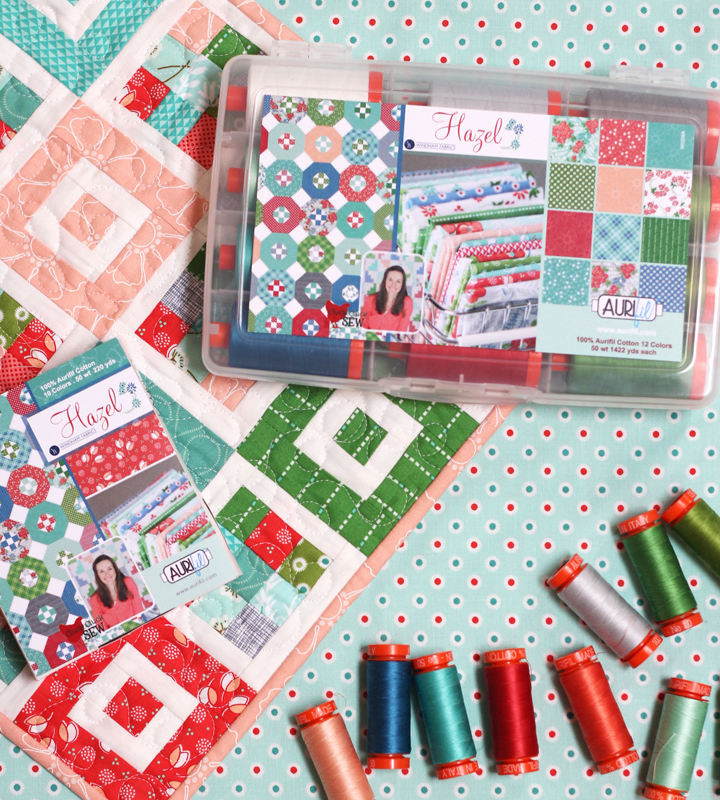 It coordinates with my Hazel fabric, and they are also the colors I seem to use in almost every single quilt I make! The large box holds 12 large spools of thread, while the small box has 10 small spools. I’ve said it a million times but those blues are still my favorite. The small boxes are for sale here, and the large boxes are for sale here, and here. You’re local shops may also have them. 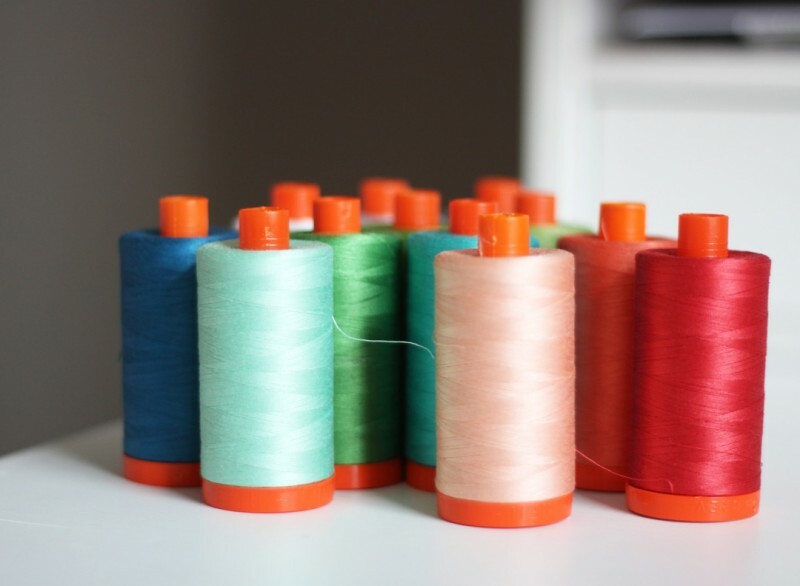 I love Aurifil thread. And Hazel!! 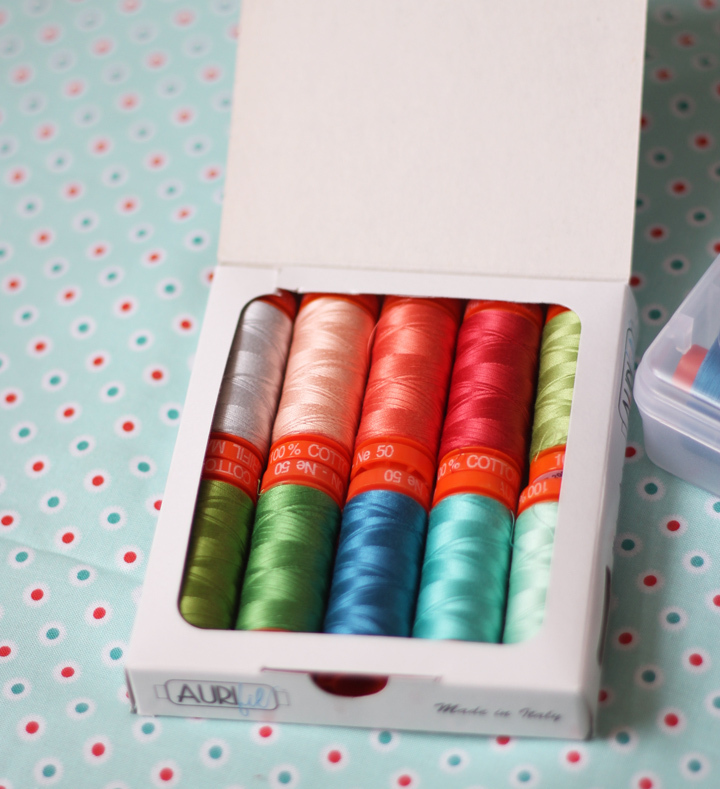 How cool to have a color box of thread with your name on it! Way cool to have thread AND Hazel fabric! LOVE Aurifill – such happy colors. are any of your patterns on sale this weekend? 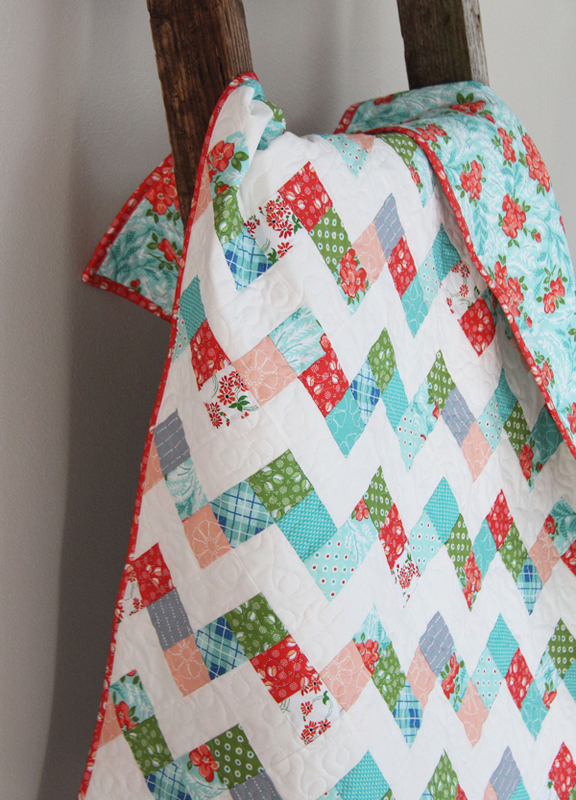 Save the most important clothes and make them a quilt — they would love it!